If you are trying to send a Push Notification to your IOS6 iPhone/iPad Sencha Touch 2.2 Application may be you have found some issues. In this article we will see how to configure certificates, setup Sencha package.json and send notifications using PHP and C#. It’s simple but dosen’t work so easily. 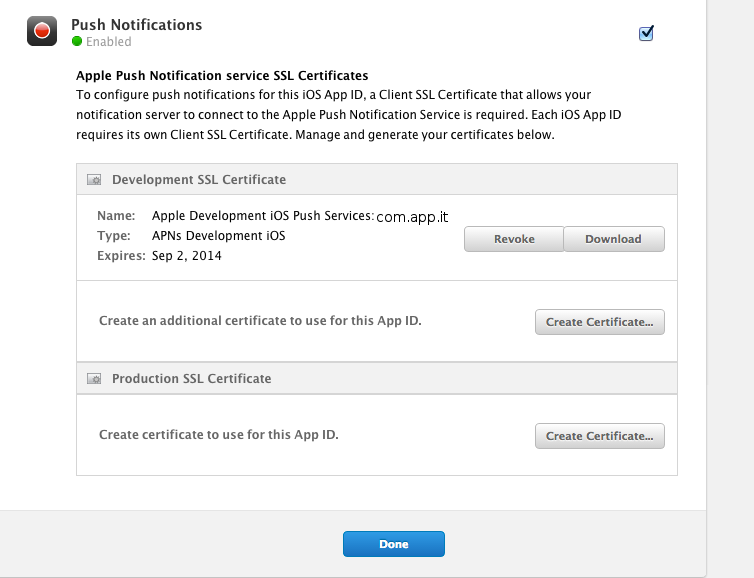 You have to generate correct push certificates at developer.apple.com and configure correctly the sencha package.json. Let’s do it step-by-step. I’m assuming that you are already familiar with IOS Native Push Notifications. 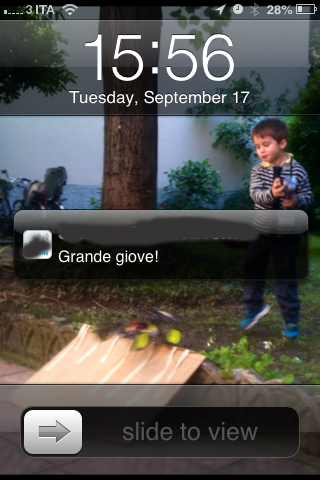 Give a look at this http://www.raywenderlich.com/32960/apple-push-notification-services-in-ios-6-tutorial-part-1. Using this tutorial on 30′ you are able to have a Native App with Push Notifications. Now let see the important steps for Sencha Touch 2. Create the certificate the first time and then download it. In this example the certificate downloaded is named aps_development.cer. Once you have the certificate you need to transform it in .pem with only public cert and key. appnameKey.p12 is the private key used to generate the push notification certificate from your pc. You can export it using the Keychain Acceess. If the Apple server replies and you can write some characters on the console means that you have created a valid certificate. We are ready to setup Sencha and the Push Server. Please pay attention at applicationName, applicationId and bundleSeedId. I’ve omitted all other configurations that remains the default one. In order to enable push notification you have to manual entitle your app. Follow the entitlement file (please note the application identifier = SeedId + applicationId. In the example: W7ZXX7HU42.com.app.it). 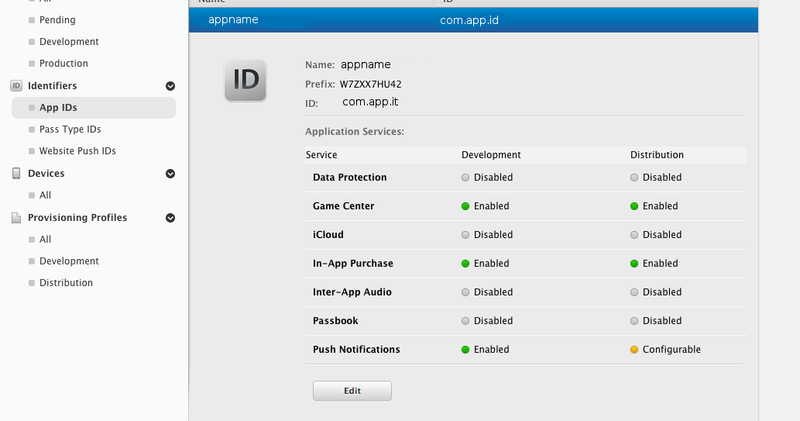 The appname.app can be copied on your device and you are ready to receive push notifications. A simple solution is to try SimplePush, a PHP class that send notifications to apple server. The code uses ck.pem certificate. Just change the $deviceToken and the $passphrase. Save it on a file push.php and execute it: php push.php. A notification will be shown on your iPhone. When Sencha registers the Push notification on your device it give you back the device token. You can send it to your server and use it for notification. If you have problems you can double check the device token with a simple IOS app that log on console the device token. PushSharp is a well known C# library to send push notification to IOS, Android and other devices. Now you can send notifications! I couldn’t manage to run second openssl command under PushSharp title. it says “unable to load certificates”. I couldnt send notification to device even pushsharp sent event fired. Can you please send me a working sample code for cordova + Sencha Touch Push Notification on iOS…? Following command raises “No certificate matches private key” error. I am confused about which certSigningRequest to use. Should it be the certSigningRequest used when creating the push notification certificate or whatever?